On Freedom Day, while most South Africans were celebrating the Freedom of their country, in Port Elizabeth, Grassroot Soccer was celebrating another type of freedom: the freedom to know your HIV status! 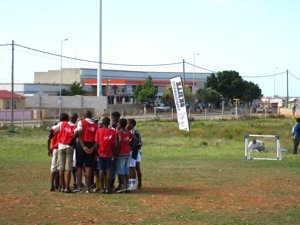 On Tuesday, April 27, Freedom Day, GRS Port Elizabeth hosted a Voluntary Counseling and Testing(VCT) Soccer tournament; a day of fun, soccer, and the opportunity to learn your HIV status. The event was held at Ikhwezelihle Primary School in Motherwell, Port Elizabeth’s newest site. The tournament brought boys’ and girls’ teams from Primary and Secondary schools from all three of the GRS sites within Port Elizabeth. Motherwell, New Brighton, and Zwide were all represented in the two sets of finals. The day proved to be fun and informative for all in attendance. When the teams were not playing in the tournament they had a chance to participate in “Find the Ball”, and then had a chance to get tested. The Municipality as well as New Start were on hand for testing, and tested 289 people. 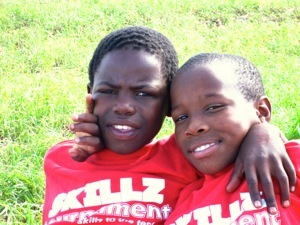 The Umzingisi Foundation was on hand to run sports clinics for children including rugby, cricket, and soccer. The Coca-Cola Waya-Waya truck was also at the event and provided music and entertainment for the entire day; even holding a dance competition where players, Skillz Coaches, and GRS interns all had the chance to strut their stuff in front of hundreds! Both community members and players took this day as an opportunity to get tested, coming to the event in steady streams throughout the day. 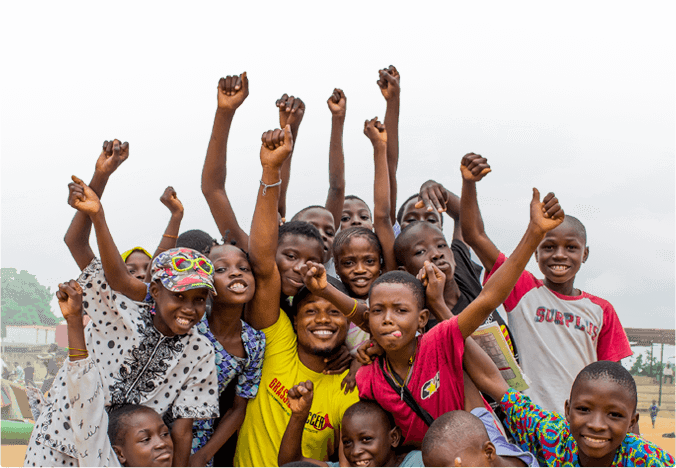 The VCT, coming closely after President Zuma took an HIV test and publicly announced his status, proved as further excitement and positive reinforcement about how important it is to know your HIV status. Let’s give GRS PE a big KILO for all their hard work! !